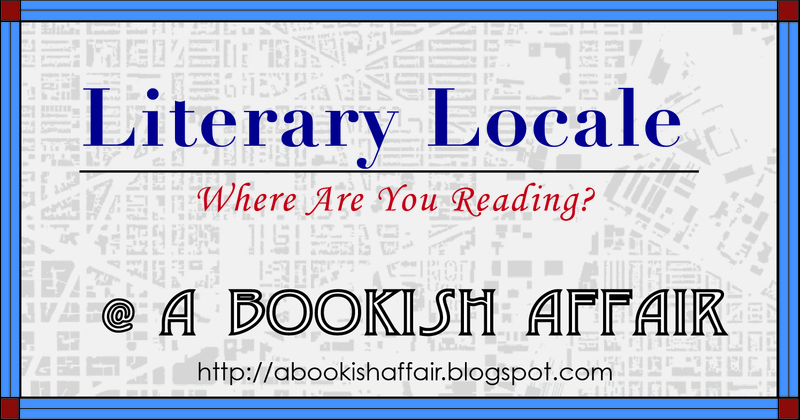 A Bookish Affair: Literary Locale! 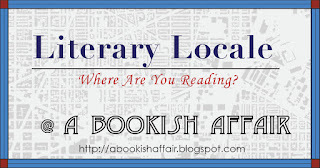 Literary Locale is a meme here at A Bookish Affair on Fridays where I talk about where I've been reading lately or any other bookish locations that I feel like talking about. Feel free to grab the logo and play along! This week marks the second installment all about my trip to the Library Hotel. This is the room that we stayed in at the hotel. We didn't pick it but it was very appropriate for us. My husband is an architect like the guys in the picture. The thing that I do in real life to support a voracious book habit has a lot to do with project management type things. Every room has a book shelf filled with books pertaining to the room's theme. I wish I would have had more time to peruse the books! While we didn't win the Look of Love contest, we got free prosecco just for entering the contest. Ooolala! Here's the privacy hanger for the door. I seriously need to put on the door to my library!!! And this is the pillow on the bed. I need this in my life!!! The room was very comfortable. New York City hotel rooms are notoriously small and this one was no different. It did have really tall ceilings and big windows so the room felt much bigger. All of the little details were really fantastic! I am so ready to go back!!! Where are you reading this week? This looks amazing. What a fun place! And free prosecco? Totally worth it. It is so worth a visit! I'm dying to go back! Thank you for the post! We are so glad you enjoyed your stay and the wine we sent for participating in our photo contest! Now, the Library Hotel is inviting literary lovers to participate in our Haiku Challenge! The winner, picked by a panel of poets, professors and literary professionals, will win a two night stay in the Poetry Room! Participants can tweet us @LibraryHotel #PoetryMonth with their haiku or post it on @LibraryHotel Facebook page by April 30th. Good luck to everyone! Literary Locale: I Love New York! Book to Movie Giveaway: Life of Pi Blu Ray!